Who is your ‘favourite’ economist, why? It may not be very original, but I would choose the man himself. 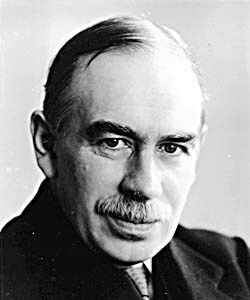 John M. Keynes. Why? This is more interesting. Keynes was very practical. He saw a real crisis – the great depression, and he sought an effective solution. In looking for solutions he was willing to think outside the box and go beyond ‘classical’ orthodoxy. This showed an intellectual flexibility that many of his generation didn’t have. Keynes has been misrepresented in many ways….